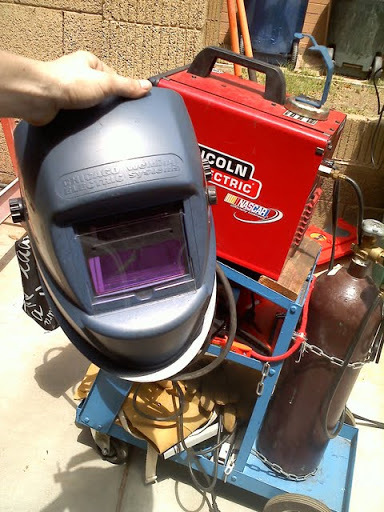 Sunday was welding day! YAY! 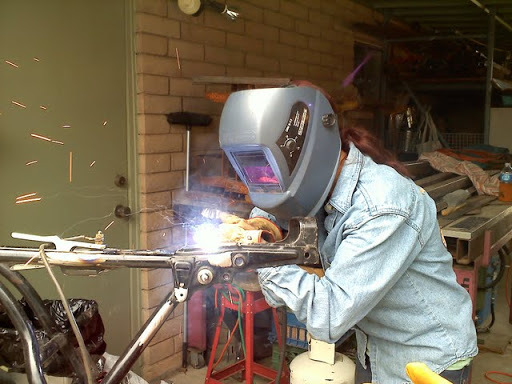 The frame and I went over to my friend’s house to weld in cross sections for the seat mount. 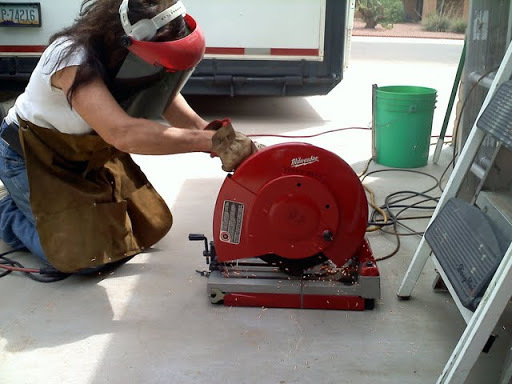 After we did mock up and measuring, Jan cut the sections we needed. We decided to put a mount in the front and one toward the back. 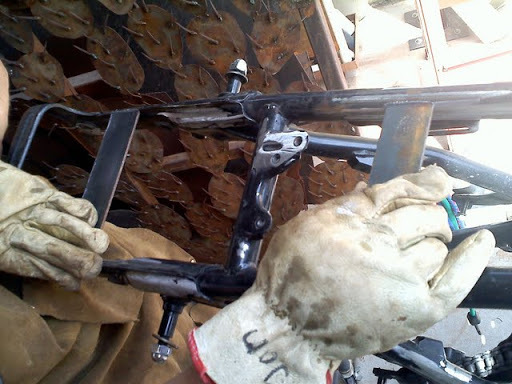 Time to weld ’em in! I put on some gloves and a helmet. 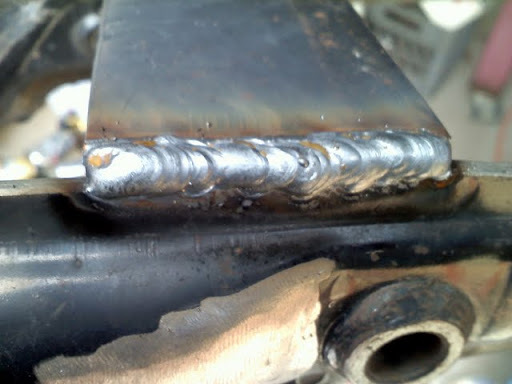 For the first time in seven or so years, I welded metal. What a good time! First attempt was pretty ugly. but then I got back into the swing of things on my second round. Time to smooth ’em out, but otherwise done with this part! Jan made a piece for under the back of my seat. It’s some support, but mostly aesthetic. I’m still not convinced I like how it looks, but we’ll see once it’s all painted. I failed to get a final photo of it all mocked up…. Oh well. 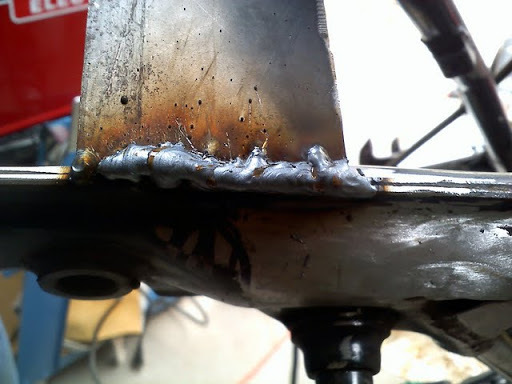 After we welded the seat mounts in, we noticed the gap between the bottom of the seat pan and the mounts. 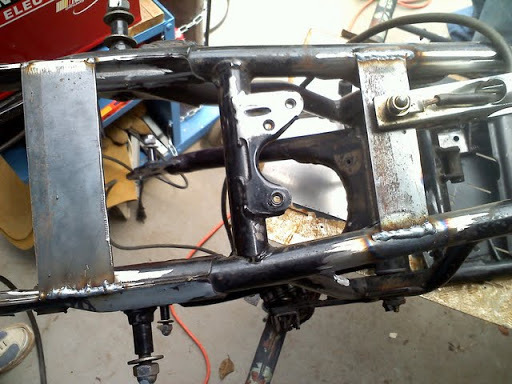 I’ll have to get some spacers for that space so that the bolts holding the seat on won’t stress the fiberglass too much. It was a long, hot day and a very good one. This entry was posted in fun, masochism, passions, RD project, update by hoyden. Bookmark the permalink.